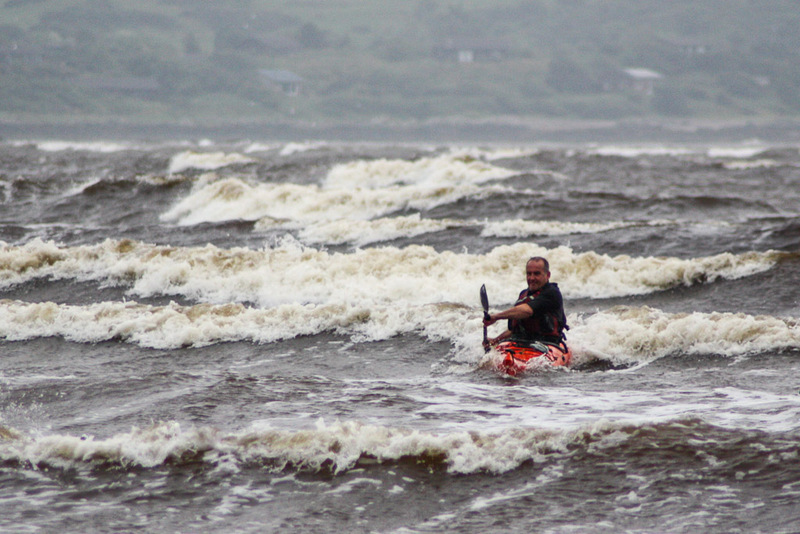 Sea kayaking with seakayakphoto.com: A distinct lack of malodour down in the Kirkcudbright mud. 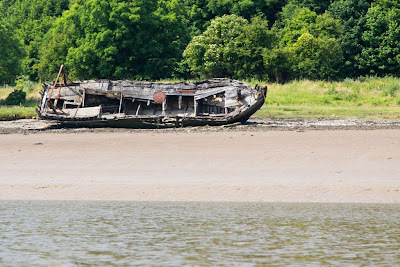 A distinct lack of malodour down in the Kirkcudbright mud. This is another trip from my back catalogue. 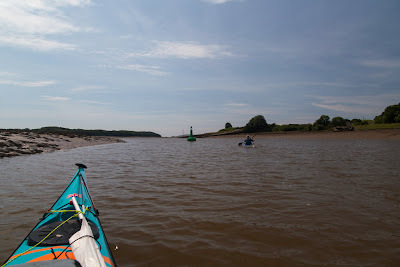 It was a glorious July day when Tony and I made our way down the muddy banks of the River Dee at Kirkcudbright on the Solway coast. We launched from Gartshore Park to the west of the town. Although the mud looks terrible , it was actually only 2 cm thick with relatively firm ground beneath. We had expected it to be foul smelling but it was not malodorous. We launched 2 hours after low water so the flood was well established. 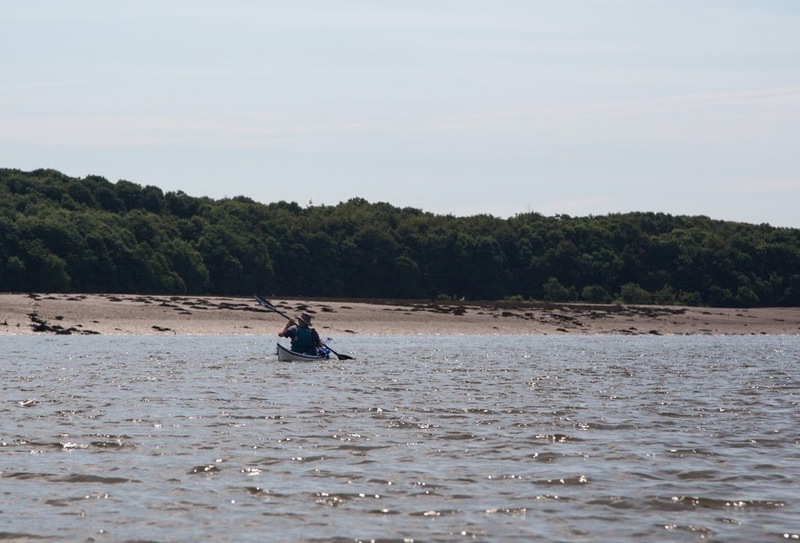 We kept out the main current by paddling in the shallows and sticking to the inside of the bends. The tower marks what used to be the end of the Kircudbright sewage pipe. 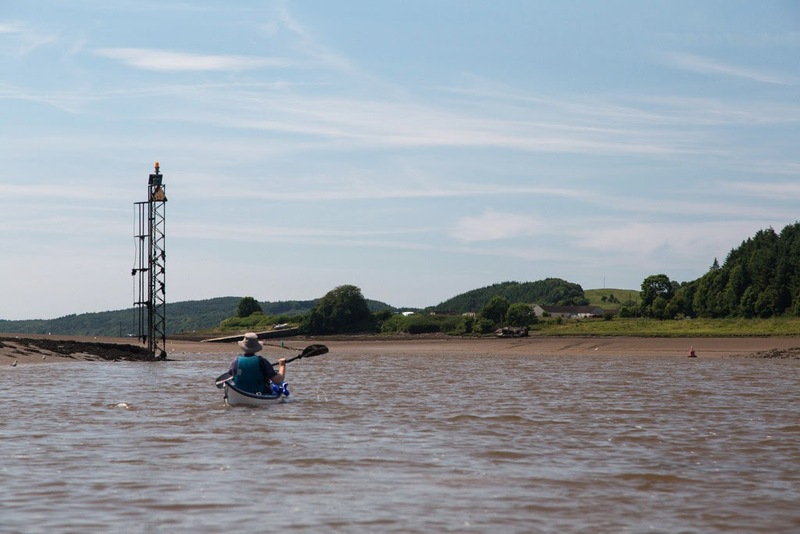 Fortunately a new marine outfall was built in 2006 and the sewage treatment works' effluent is now discharged about 10km away, under the sea at the mouth of Kircudbright Bay. ...sweeping upstream. We could not yet see the sea beyond the muddy banks of the river channel. This old wooden fishing boat now lies above all but the highest tides but she has seen better days. 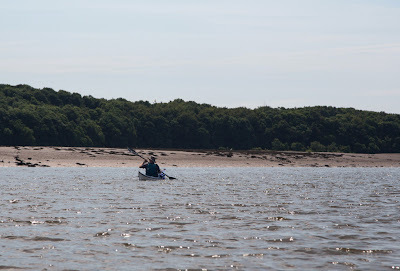 We paddled along the wooded shores of St Mary's Isle. The "isle" was the site of a priory dating back to the 12th century but nowadays it is just a secular peninsula. 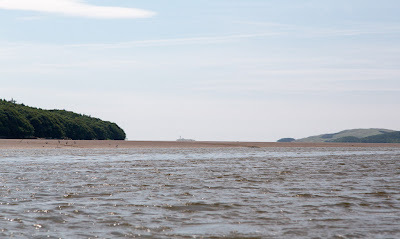 The channel between the isle and the mainland has long since silted up and the monks have long gone..
At last we caught sight of our destination. As the tide in the channel rose, Little Ross island and its lighthouse appeared over the mudflats. Hi Douglas, this brings back fond memories of a crossing from St.Bees. 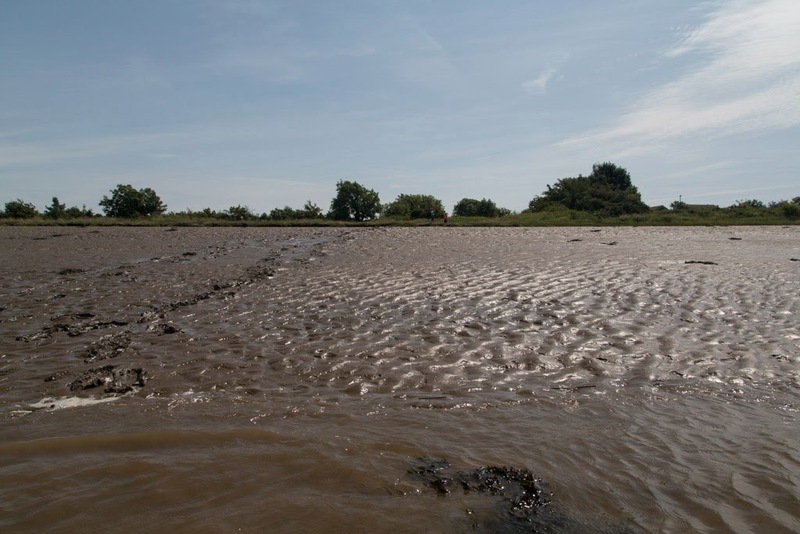 The mudflats are called the "Devil's Thrashing Floor" - a name which seems perfectly to conjure up a certain sea state around high water on a windy day. 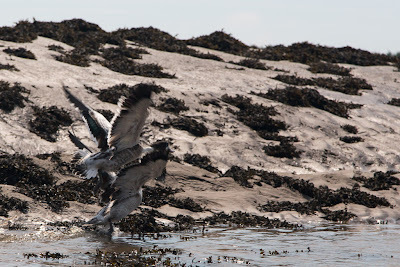 Hi Graham, a big ebb tide over the sand/mud bars against a SW wind creates the wonderfully named "White Steeds of the Solway" which are truly the Devil's steeds!